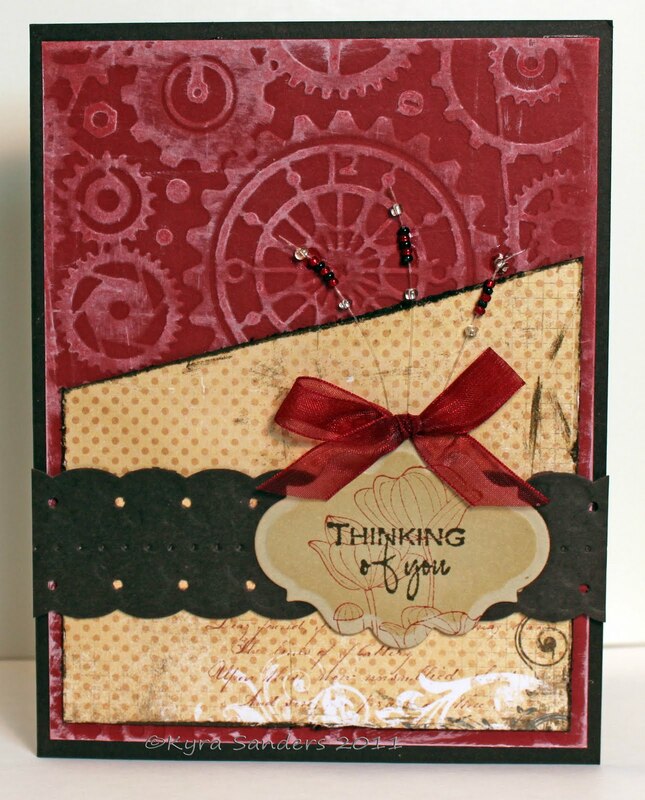 Hello, cardmakers! Welcome to another OWH Stars & Stamps Sketch Challenge! Did you know that our challenges remain open for a full year? You don't have to do them in the same week I post them! If you fall behind, you can always go back and catch up. To make it easy, we have all the previous sketches collected on our Sketches page. I update it once a month to add the most recent sketches. Here's today's sketch... and remember that the heart shape indicates the embellishment of your choice, it doesn't have to be a heart! Our sample maker this week is the awesome cardmaker and animal rescuer, Kyra! She has a blog called The Bunny Nest. Go take a look at cute cards and cute bunnies - how fun! Thanks again for the beautiful sample cards, Kyra! I can't wait to see what y'all do with this sketch! I look forward to visiting you! To play along in this week's sketch challenge, simply upload a project using this week's sketch to your blog or online gallery then leave the link to that entry using the Inlinkz widget at the bottom of this post. And remember, you may use this sketch at any time. 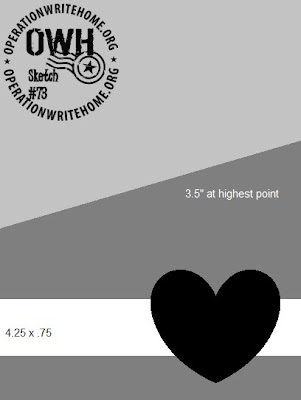 Feel free to re-post the sketch on your blog along with your card… then come back and leave a link for us so we may all see your cards! I am just awful with angles and trying to figure out how and where to make the cut? I need HELP! How do you figure out the cuts for this? Don't overthink it, Lisa. There is no specific angle. Just put it on your papercutter and cut what looks good, it'll be okay, I promise! I made a mark on one side at 3.5" and then on the other side at 2" then drew a line between the two marks and cut on that line (on the back side of the paper of course.) Hope that helps!